Say it isn’t so — summer is coming to an end and back-to-school season is here again. Teachers and students are ready with new school supplies and tools to get them through the semester. While many edtech tools are designed to aid and measure success in testing and a variety of different subjects, there’s now budding interest in a less tangible form of knowledge: social and emotional learning (SEL). During such uncertain times we experience today, where daily news causes anxiety in adults and children alike, it’s no surprise why SEL is on the minds of educators more than ever. SEL doesn’t just help pave the path to moral citizenship. In fact, studies show that effective SEL intervention can increase academic test scores by 11 to 17%. But how do we go about measuring something that seems so subjective? As a parent, you may have wondered from time to time what your kid is up to at school. And as a teacher, there may have been moments you would have loved to share on-the-spot with your students’ family. 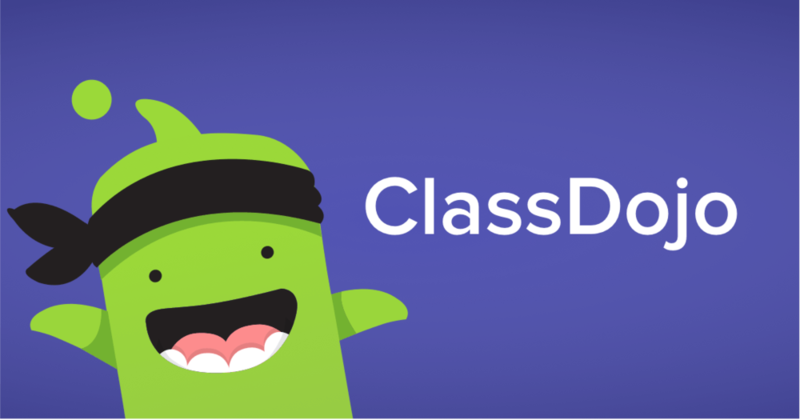 ClassDojo aims to close the communication gap between families and school. This classroom app can be used by parents, students, and teachers to share photos, videos, and messages throughout the school day. Furthermore, according to their website, 1 in 3 US kids aged 5-14 have learned about Growth Mindset and Empathy using ClassDojo. This app is currently being used by 90% of K-8 schools nationwide! Integrating Positive Behavior Intervention and Support (PBIS) and SEL into the classroom is no easy task. In fact, in order to implement it successfully, it must be done so at every level, not just in individual classrooms or with individual students. Thankfully, Kickboard has created evidence-based solutions to track, monitor, and analyze at the student, class, grade, school, and district levels. Using rigorous analytics, Kickboard not only give educators “vivid insights at every level” but also provides educators with solutions to implement intervention where needed. Being late to class usually comes with negative consequences -- pink slips, detention, and so on and so forth. Hero wants to change that by empowering students to not only get to class on time but also to make good decisions by using positive reinforcement. Their tools uses strong analytics to help educators reinforce good behavior, manage the classroom, and enact positive cultural change school and district-wide. According to their website, some schools have had their tardiness reduced by 98% and suspensions reduced by 81%. 7 Mindsets calls themselves the “Google for SEL” — and they’re not wrong for it! 7 Mindsets has quickly become the one-stop-shop for all your SEL needs. From infographics to training sessions, 7 Mindsets provides everything that an educator needs to start cultivating SEL in your classroom or school. SEL doesn’t always mean tracking behavior and sifting through analytics. If you and your students respond to storytelling, Peekapak is the SEL fit for you. Set in the diverse world of Peekaville, the characters Menka, Cody, and Leo the Hedgehog will guide students through ELA lessons, all the while learning SEL skills such as self-regulation, teamwork, and empathy. Sprig uses immersive storytelling techniques both online and offline. Not only do they have engaging stories, but they also provide interactive puppets to “promote fun and deeper assessment results with a loveable, familiar puppet that interacts with technology, engages learners and breaks traditional assessment bias.” What we love about Sprig is that they extend this experience beyond the classroom and give caregivers a chance to explore SEL with their kids, too! What would you do after you come home from a year abroad and discover your home ...completely empty? Gone Home is an award-winning interactive first-person video game that allows you to explore and uncover clues to find the answers. Published by the Fulbright Company, the game has received critical praise, especially for addressing issues youths in LGBTQ have to frequently face. Because SEL is booming, we’re sure we have missed some edtech companies who are doing great work. What are some of your favorite SEL-based companies? What resources would you like to see more of in and out of the classroom? Want to learn more about SEL? Send us a message, and we’ll be happy to guide you!